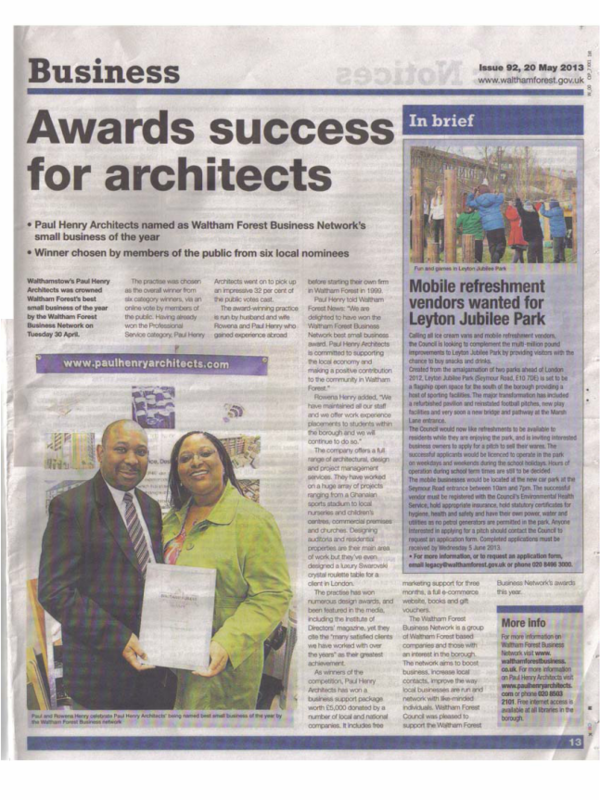 Congratulations to our 2015 Waltham Forest Small Business 100! The Waltham Forest Business Network is delighted to announce Build Graphic Design as its 2014 Waltham Forest Small Business Competition winner. "We are absolutely thrilled to win this year's award. Waltham Forest is full of so many interesting businesses and more recently we’ve got to know many more great new faces. As a studio with international clients we love working in, and championing Walthamstow as a place to live and work, and hopefully it will encourage others to see the area as a great place to flourish. Nicky Place, Business Director. Nicky Place and her team were chosen by public vote from 6 category winners. The overall award winner was announced at a special evening held the William Morris Gallery on Friday evening (21st) attended by almost 100 Waltham Forest businesses and Gallery supporters.